MATTESON, IL -- An Indiana man is calling it the "best birthday present ever." 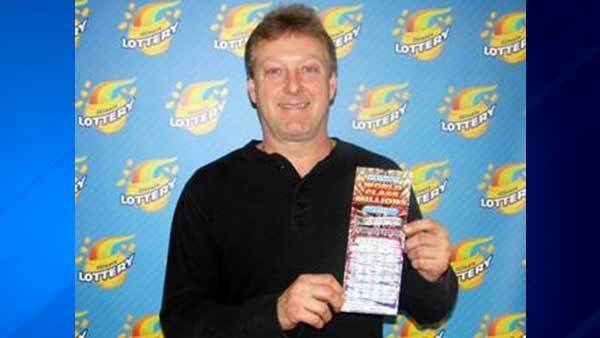 Jason Duchene won $1,000,000 with an Illinois Lottery instant ticket on the day before his 46th birthday. "While driving home from work in Chicago, I decided to stop at a store to buy a soda and I told the clerk I wanted to try the biggest instant ticket they had," he said. Duchene was born in Chicago but recently moved to Indiana with his fiance. He bought the winning ticket at a Circle K in Matteson. Duchene said it was his first time playing this particular game, and he still can't believe he won. He says he plans to buy new cars for himself and his fiance.